MJ here with She Bloggin! Joining me with brand new music and a tell all is Hip Hop Duo producer Nextwon, and MC Trauma known as DS9. MJ: Before we jump right in with the release of “Dead Planets and Dwarf Stars” give us some history of how you two linked up with each other to create DS9. MC Trauma: We met through a mutual friend and did a couple of dope joints. After that Nextwon asked me if I was interested in doing a project I said, and we took it from there. Nextwon: Trauma and I linked up a few years ago through a mutual associate, and we hit it off right away! We started collaborating and had been kicking around tracks for the past couple of years. But It wasn’t until about a year ago that DS9 was officially formed. MJ: How long was producing and emceeing a hobby before the epiphany hit to pursue it as a career? Nextwon: I had started making mixed tapes and beats about 20 years ago as a hobby with my crew Mentillstate. We would sit and make beats and tracks in my basement. Then I helped produce my first album Matrameru’s “Sandglass”. It wasn’t until then that I really started collaborating with other artists and creating music for the public to hear. MC Trauma: For me it goes way back to 1985. I never been interested in anything else really. 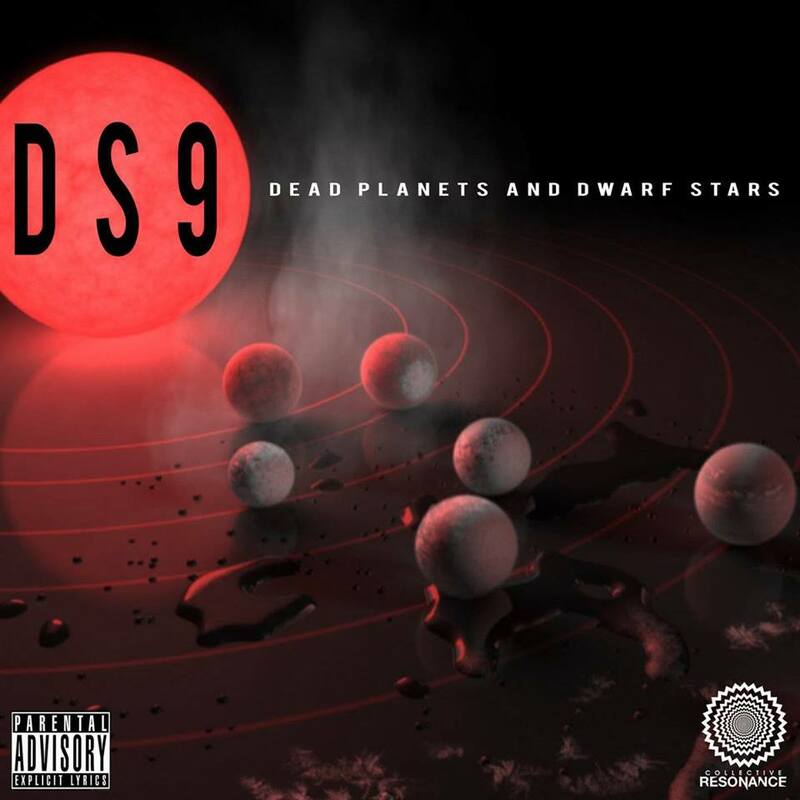 MJ: I first listened to DS9 when Nextwon reached out to me with the new release of “Dead Planets and Dwarf Stars”. I was fascinated and mesmerized by both the lyrics and the production and the precision of it all! Tell the listeners all about the new release, from beginning to end! We want to know the who, what, where, when, why, and how of “Death Planets and Dwarf Stars”. MC Trauma: It wasn’t just a bang-bang creation. It took a while to finish, but it just came together real crazy like a drawn out blueprint. Nextwon: We had a handful of tracks finished but really weren’t sure what direction the project was going. Trauma sent me the lyrics to “100 Eyes” and I knew right then and there that we had something. Once Trauma finished recording “End of the Day”, we knew the potential was there for this to be a really dope project. MJ: How do you think listeners and fans will react to the project? Nextwon: We really tried to create an album that would appeal to the masses. You got that old school boom bap vibe paired with a modern twist in the way Trauma delivers his lyrics. I think heads will feel our energy. MC Trauma: I think the audience we’re going for will feel it’s different and spacy. But I think if they like that boom bap backpack, they will definitely dig it! MJ: Speaking of fans, many of them tend to get caught up in the glamour and glitz of the music industry. Reality is there is an enormous amount of pressure, especially between producers and artists. One can’t outshine the other, the flow and tempo and lyrics need to be in sync, and the business relationship has to be built on trust and respect. Most importantly the chemistry has to be there! Talk about that and share some of your challenges and some of the successes as duo. MC Trauma: I don’t have a reason not to trust Nextwon. It’s a fair exchange of respect that comes from the give and take. When I ask for a beat I get it ASAP. When he sends a beat he gets the song back ASAP. Our chemistry just works! Nextwon: Trauma has a way of bringing my beats to life with his clever lyrics and smooth delivery. Although we have never been able to work in the studio together (since we reside in different parts of the country) our creative visions and ideas have blended together seamlessly. Thanks to social media, I have been able to connect with some of the dopest underground artists around the globe, with Trauma being one of them. MJ: For those that might not be familiar with DS9 describe your style. As a Hip Hop duo what would coin as your contribution to Hip Hop? Nextwon: I feel like this remains to be seen. Our musical journey together has just begun and I hope when all is said and done that our unique style has made a mark in the game. MC Trauma: We bring that real Hip Hop! We make Hip Hop great again, like for real! MJ: Take us into the studio, a day in the life of Nextwon and MC Trauma! Give us three words to describe the end result. MC Trauma: Weed. No distractions. Good vibes. I usually listen to music right before I record and not Hip Hop. MJ: I’m always curious about a few things when I interview artists…Who is in your playlist? What genres of music do you listen to? If it wasn’t music where would you be today? Lastly, the name! For some choosing a group or artist name is like a movie title and there is a story behind it. What is yours? MC Trauma: Wu-Tang, RTJ, Jimmy Cliff, Bad Brains, and Hendrix, are a few artists in my playlist. I listen to the blues, funk, punk, old school r&b, and old school rock. I got my name after I was battling a rapper. I remember someone in the audience saying I traumatized the other emcee, Trauma stuck ever since then. 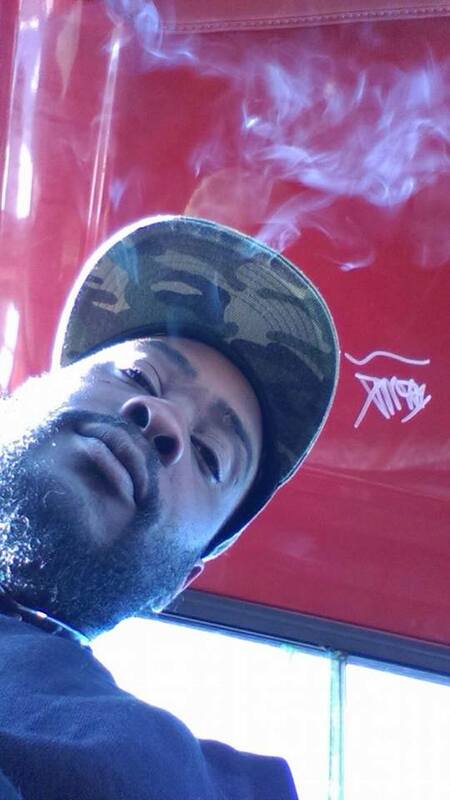 Nextwon: Right now I have Thundercat and Run the Jewels in heavy rotation. I Can’t get enough of either. I’m all over the map, good music is good music. Whatever grabs me is what I listen to, well except for country. I’m a family man and still work a 9-5. But music is my love and my creative outlet. No matter what I do or where I am in life, music will always be a part of it. Trauma is responsible for the group name, he pitched it and we ran with it! MJ: Give us an inside peak on what’s coming up for DS9 in 2018. Nextwon: The Follow up to DP & DS is already in the works. While this album is infused with cuts from what I believe to be some of the dopest DJ’s in the world like RenROK (L.A), Memory Loss (Germany), & SuggieSugindabuilding (N.J.), our next album we hope to have appearances by some of the underground emcees that we know and have worked with individually. It’s going to be dope! 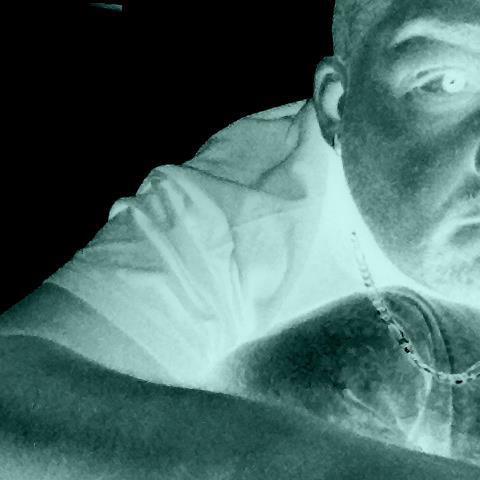 MC Trauma: More stories, more lyrics, and more Hip Hop is always on the horizon. MJ: Before we wrap up, please let the readers, supports, and fans know where they can get their hands on “Dead Planets and Dwarf Stars”. MC Trauma: I’LL let Nextwon answer that one but s/o collective resonance. Nextwon: Check us out on bandcamp, iTunes, Spotify, Apple Music, google play, amazon and most major platforms. We are just one click away at https://fanlink.to/deadplanetsanddwarfstars. MJ: Is there anything else you would like the world and “universe” to know about DS9? MC Trauma: We are the Resistance! I want to thank you both for taking time out for this interview, and I want to thank you for creating timeless music, Salute!